According to an article in the MetroWest Daily News, a man from Worcester allegedly stole necklaces and a ring from his ex-girlfriend’s Framingham home and sold them to a local jewelry store. The investigation began in May when the mans ex went to the police station and reported that some of her jewelry was missing. She stated that she thought her ex boyfriend took the jewelry. The article does not include why she believed this to be the case, or what, if any, information she had to support her conclusion at the time that the allegations were made. The police then began checking local jewelry stores and apparently discovered that the man accused had sold a gold necklace and ring to Stardust Jewelers, located on Route 9, on March 30th for $41. The store provided photographs of the jewelry and the ex identified the items as hers. After she identified the jewelry as hers, the police then returned to the store and asked the store to return the items. The store, however, had already melted the necklace and ring down. At some point after that, the ex told either the police or the district attorney’s office that she did not want the police to prosecute him for the purported theft, but police sought charges anyway and he was arraigned on one count of receiving stolen property over $250. For the Commonwealth to convict him of receiving stolen property over $250 under G. L. c. 266, § 60, it would have to prove the following beyond a reasonable doubt: (1) that the property in question was in fact stolen; (2) that he knew that the property had been stolen; (3) that he knowingly had the stolen property in his possession; and (4) the total value of the stolen property exceeded $250. As to the first element, the Commonwealth must establish that someone had taken the property and carried it away without the right to do so, and without the consent of the owner, while intending to permanently deprive the owner of the property. The Commonwealth is not required to prove who stole the property. As to the second element, the Commonwealth must prove beyond a reasonable doubt that he knew that the property was stolen, or at least believed that it was stolen – it is not sufficient to simply prove that a reasonable person in his position would have known or believed the property to be stolen. As to the third element, the Commonwealth must show that he “received” the property – specifically that he knowingly took custody or control of it. Given the elements of the offense, in conjunction with the allegations and the surrounding circumstances, it appears that he has several potential avenues of defense. First, the ex did not report that any items had been taken until May, yet the sale to the pawn store had happened two months prior to that. Therefore, there is a serious question as to whether the items sold on March 30th were in fact items stolen from his ex-girlfriend, or whether he happened to pawn some items prior to the purported theft. Second, it’s unclear whether the items that were reportedly pawned actually match the items that the ex described as stolen. 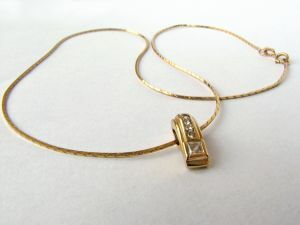 Although the ex identified the jewelry as hers, it does not appear that she provided a description of the stolen jewelry to the police prior to being shown the pictures of the pawned items, therefore, he could argue that, other than the ex’s claim, there’s no corroboration that the items that she alleges were stolen actually match the items that were pawned by him. His attorney could certainly argue that his ex had some sort of motive to fabricate the charges based on a falling out between the two of them. Finally, and perhaps most importantly, the ex indicated that she does not want him to be prosecuted and does not want to go forward with the charges. Since the ex is the only person that can identify the items that were pawned as hers, and is the only person that could attest to the fact that the jewelry was taken without right or her consent, she is crucial to the Commonwealth’s case. If she refuses to cooperate with the Commonwealth they may have a hard time proceeding with the case. Regardless of these potential defenses, he will need an attorney who can identify and investigate each of these issues, and pursue and present them accordingly. Likewise, if you or a loved one is charged with a criminal offense, you will need an experienced attorney who has the knowledge and skills to recognize the various defenses that can be raised and who can execute them persuasively. Attorney Daniel Cappetta has been ably representing clients and defending criminal cases for many years. Call him for a free consultation so you can benefit from his expertise.